Well, it had to be expected didn’t it. 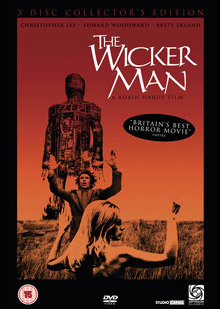 With the imminent release of Neil LaBute’s ‘re-imagining’ of the British classic, Optimum Classics are rolling out a new 3-disc Collector’s Edition of the original The Wicker Man on September 4th. The 3-disc collection includes both the original version (84 mins) and the Director’s Cut (99 mins), along with the original CD soundtrack, which in itself is almost worth the cost of the DVD set. A firm favourite here at eatmybrains, the 1973 film is a bone-fide masterpiece and features perhaps Christopher Lee’s finest ever performance (yes, even better than Lord of the Rings and Star Wars). If you still haven’t seen this classic yet, what are you doing on this website? 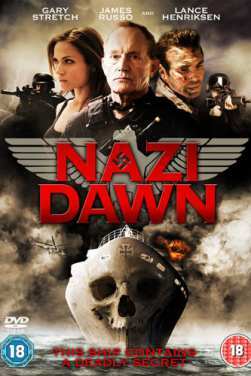 Stop surfing now, and go place your pre-order on your favourite online DVD store. Jesus Christ, no! Also, watch out soon for our interview with Neil LaBute as he tells us why he took on the job of the upcoming remake. 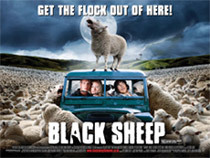 "I don’t know exactly what inspired it but I remember thinking that killer sheep seemed like a good idea for a movie!"